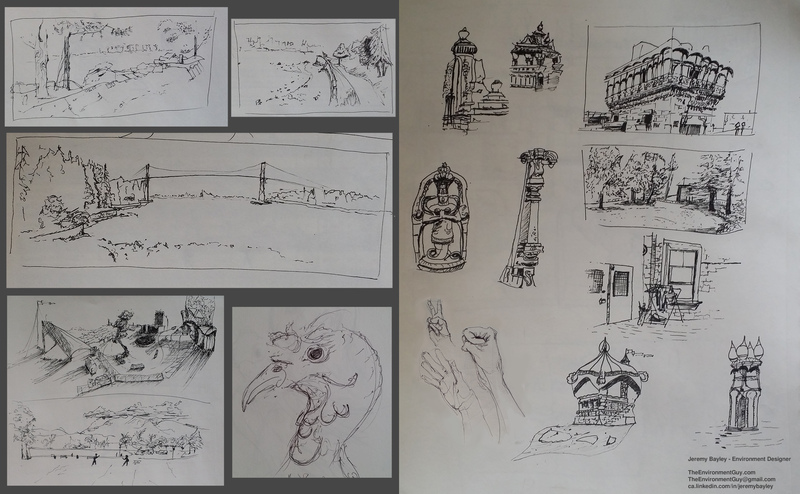 Some recent sketches from my personal sketchbook. Some are life drawings others are conceptual. The Indian architecture is for a personal 3D environment project. The first Vlog for The Environment Guy. Jeremy talks about new paintings and sketches, a quick look at his current home studio space and an overview of recent events at TEG.